Sony Releases a6300 Camera - A7s II Performance for only $1000! Sony continues to blow minds with the low light performance of their recent cameras. While the new a6300 will likely not disappoint in that department, I think the value for the money offered in this new camera might be even more amazing than those sky high ISO's. 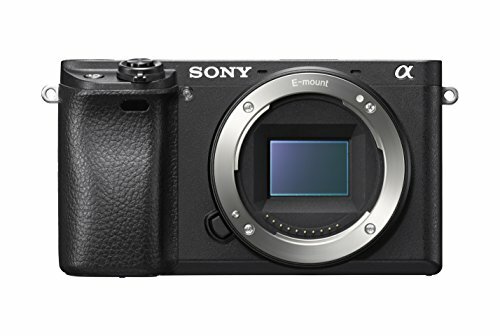 It's nearly a Sony A7s II for $1000! First of all, this camera may look a bit "amateurish" with it point and shoot style body, but the specs tell a different story. The sensor records UHD 4k internally (XAVC-S) using a Super 35 crop at 100Mbps, with no pixel binning. It writes this (as well as HD) to the internal SD card, just like the A7s II. The ISO maxes out at 25,600, which is not quite the lofty heights of the A7s II, but also is about $2000 cheaper. Of course something has to give to get to this price point, and the sensor stabilization technology from the A7s II is sadly missing. Overall, not a bad trade off though. The truly amazing specs for this price range, in my opinion, are the autofocus and slow motion. The autofocus has 425 AF points, easily putting it up there in the upper camera echelon. The feature is officially known as Sony 4D Focus - and the results in the demo video look pretty awesome. Hopefully they can be translated to real life. I could see this being the ultimate vlogger (Casey Neistat) camera if its flip out screen flipped out 180*, but alas, it's more of a tilt than a flip. On the other hand, it has a lot to offer, like being small and light, recording to cheap SD media, having 4k internal recording and the video autofocus feature to keep everything in focus while in "selfie mode" - even without the flip out screen. While the Canon Dual Pixel AF is pretty impressive, can you imagine someone holding a C300 at arms length away and filming themselves all day? Me either. The slow motion feature comes in at 120 frames a second in HD resolution. It achieves this with a slight crop of 1.1x in this mode, which is pretty amazing for a camera this size. Hopefully it doesn't suffer from over heating issues! The inclusion of S-Log 2 and S-Log 3 is also pretty amazing considering the price point. It's definitely a sign that this camera isn't aimed at the soccer mom demographic. Sony claims a 1300% wider dynamic range while using these LOG modes, which bodes well for being able to push and pull the image in post production and color grading. Other video centric features include Zebras, timecode and Display Assist. The HDMI port allows a clean 8-bit 4:2:2 signal out, which obviously will allow you to use external recorders, although since its only 8-bit out, and will make the very small form factor a lot larger, I don't really see the appeal. It's possible the 30 minute record limit could be overcome with this method though, which is nice for certain applications. The camera also lacks a head phone jack, which is a bummer, as this seems like the perfect camera for run and gun interview and news gathering type of projects, thanks to its diminutive form factor, yet high resolution and great low light performance. The camera should be in March 2016 for around $1000.